treatment professionals descended on Amsterdam for this highly anticipated event, with over 800 exhibitors from more than 40 countries. 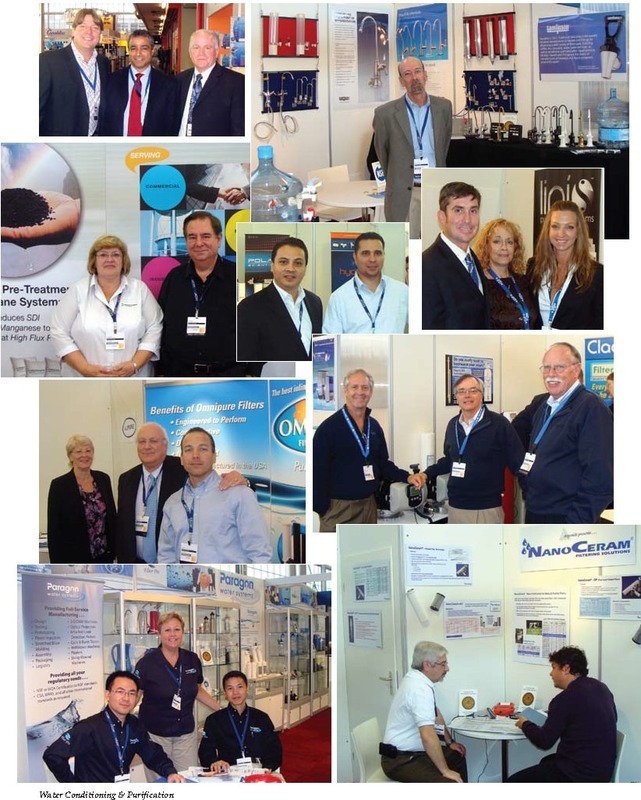 Eighty seminars and workshops were presented at the AquaStages and over 100 innovations were on display. Innovation and new technology were prominent features, along with many philanthropic endeavors being hosted by major manufacturers and their foundations. Wishing Well Foundation International (WWIF) was launched for the international audience at a well-attended presentation on the Aquastage. It was geared toward raising awareness about the harsh statistics on the number of people who die from lack of access to safe drinking water. Issa Al-Kharusy of KDF Fluid Treatment highlighted the Foundation’s vision of an industry social-responsibility effort to lift up those among the global population who desperately need access to safe, potable water. He spoke of its model of volunteers and donation of simple, yet effective, water treatment systems, unlike many NGOs that typically carry a model of cost recovery. Al-Kharusy also emphasized the organization’s commitment to being an active part of the Water Quality Association and the membership. WWIF asked everyone to become involved as volunteers, to Jointhepipe.org and water company Vitens signed a Memorandum of Intent to further the goals of their respective companies, pledging to work together to help provide people worldwide with clean water, including in those places where it is currently not available. Geraldo Vallen, co-Founder of Jointhepipe.org and Rik van Terwisga, Chairman of the Board of Vitens, both signed a MOU in which they committed to working together and donating the proceeds of Jointhepipe.org to water projects in developing countries from the Vitens Water for Life Foundation. It is not the first time that Jointhepipe.org and Vitens have joined forces. Several times the two organizations have worked together in order to place tap water stations in public areas to encourage the drinking of tap water. Jointhepipe.org has produced a public tap water station and Vitens is responsible for the installation. Already six of the eight Jointhepipe.org tap water stations have been installed in Utrecht (the Netherlands) by Vitens. 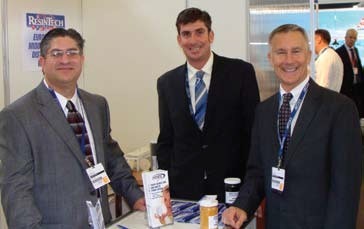 NanoH2O, Inc. was honored with the 2011 Aquatech Innovation Award in the water supply category for its QuantumFlux™ RO membrane. Among over 800 water technology exhibitors, NanoH2O and four other category winners were announced at the opening ceremony. Fifty companies were considered across five categories: water supply, water treatment, process control and automation, transport and storage and innovation not to market yet. The expert panel judged the entries based on various criteria, including product originality, feasibility and sustainability. The proven field performance and commercial availability of QuantumFlux membranes served as key factors in the selection process. An additional winning factor was NanoH2O’s capability to produce significant volumes of QuantumFlux membrane flat-sheet and spiral-wound elements for a global customer base at its vertically integrated manufacturing facility in Los Angeles, CA. Philips Lighting launched its new, complete and innovative water disinfection solution, Philips InstantTrust, based on cutting- edge disinfection technology optimized for POU applications. For the first time, water can be disinfected instantly, efficiently and independent of water temperature. It can be integrated into any POU application, including taps, water pitchers, undersink water filters and portable countertop systems. The system solves many of the limitations of current UV disinfection technologies and enables equipment manufacturers to provide consumers with access to safe drinking water, anytime, anywhere. 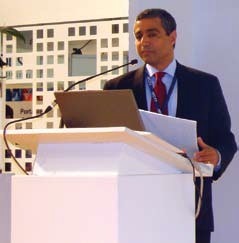 Aquatech global events for 2012 include WQA Aquatech USA 2012 (March 6-9, Las Vegas, NV); Aquatech India 2012 (April 25-27, New Delhi, India) and Aquatech China 2012 (June 6-8 June, Shanghai, China). Plan early and be ready for more new technology, specialized presentations and great opportunities to extend your business opportunities next year!